Take Christmas and birthdays, for example. When I was growing up it was taken for granted that you taught your children that saying ‘thank you’ was essential – even when you had to say it for things that you didn’t actually want. It was the polite thing to do, and it was expected. It was, as my parents used to say, the ‘done thing’. What was not the ‘done thing’ was to tell your parents exactly what you wanted for Christmas or birthday presents. These days everyone makes sure beforehand that you know exactly what presents they want, which to my mind rather takes the fun out of giving. When I was young you simply had to wait to find out what you were getting – which of course just increased the temptation to go looking beforehand while your parents weren’t around to see what they had bought. My father used to hide the Christmas presents in the loft, which was inaccessible without a step-ladder, so there was no way a small child could investigate – rather sneaky on his part, I thought. And after the event came the task of saying thank you – either by writing a letter or by saying thank you if we were going to see the donor soon after. And in the days when presents were actually a surprise, sometimes a thank you had to be said for something that you actually really didn’t want, but that a well-meaning relative had bought you. Gifts are not given in order for the donor to be thanked, of course, but being thanked is an important part of the exchange between the donor and the recipient of a gift. 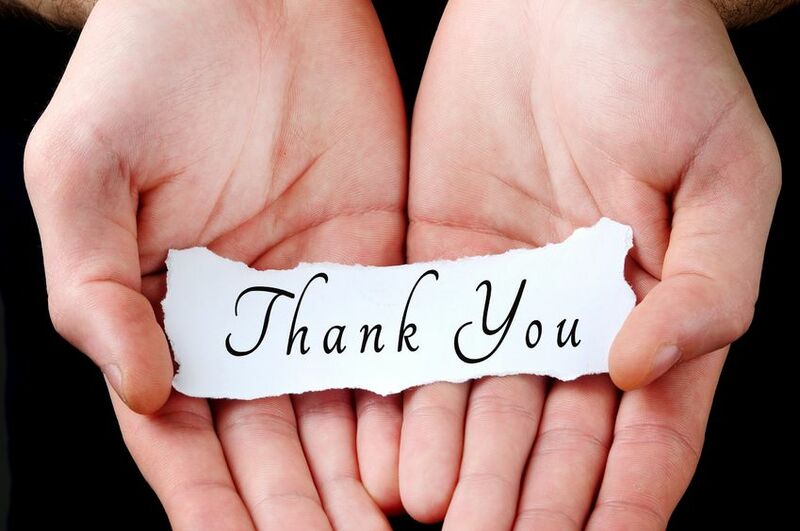 These days saying thank you no longer seems to come to people naturally. In fact, many people are quite unable to do it at all. There is a well-known website on the internet called How to do anything. People can post articles on how to do just about anything and others can edit them. Amazingly, there is one on How to say thank you. It covers saying thank you in person: be sincere, be grateful, use the right body language. It then goes on to cover how to say thank you over the phone or by text message, and finishes with how to say thank you in writing, either by card or email. It’s actually very good – but why on earth is it necessary? Why do people need to be told how to say thank you, or even that they need to say it at all. Today’s gospel reading is about nine people who didn’t know how to say thank you, and one who did. Jesus is travelling in border country along a frontier between Galilee – Jewish territory – and Samaria. Jews and Samaritans hated each other and had nothing to do with each other. And as Jesus approaches a village, ten lepers come as close as they can, crying out to him to have mercy on them. Jesus tells them to go and show themselves to the priests. They do so and on their way to the priests their healing becomes apparent. They are made whole and can belong to their families and their village again. So the healed lepers hurry to the priests. But one of them knows that something else must happen first: before he can truly enjoy what he has received he must thank the giver. So he returns, praising God, and prostrates himself in gratitude before Jesus. And Jesus asks: “Were not ten made clean? But the other nine, where are they?” Although God doesn’t give just to those who are likely to respond gratefully, God’s gifts do come in order to create and deepen relationship. So gratitude, which is a sign of someone responding to God and not just enjoying what God gives, does matter to Jesus; there is a sense of disappointment or sadness as he asks about the other nine. Didn’t they get the point? But this story isn’t just about the importance of gratitude. Its punchline is that the leper who returned to give thanks wasn’t a Jew (as the others presumably were) but a Samaritan. As elsewhere in the Gospels – think of the Canaanite woman, the Roman centurion, the Good Samaritan – it is the despised foreigner, the religious outsider, who becomes a model to challenge the disciples. It is only the Samaritan leper who completes the exchange of salvation celebrated with thanksgiving. It is he who embodies true humanity before God, humanity healed and grateful. This is worth pondering: are we open to what God might teach us through those beyond our own community, those we might easily regard with fear and suspicion? George Herbert was an Anglican priest and poet who lived in the first part of the 17th century. Among other things he wrote the hymn “King of glory, king of peace” with its line “Seven whole days, not one in seven, I will praise thee,” reflecting his desire that everyone should be in church every day of the week to say the daily offices, and not just attend church on Sundays. He would have been shocked to learn that these days many people don’t even attend every Sunday. He died in 1633 at the age of 40 and his feast day is the same day as my birthday, which will give you a clue as to when it is. We must pray for a grateful heart because ingratitude is never far away and grumbling often comes much more naturally to us than thankfulness. But how do we cultivate a grateful heart like that of the Samaritan leper? Perhaps the clue lies in the very fact that he is a Samaritan. A Samaritan (especially a Samaritan leper) can expect no favours from a Jew. He has absolutely nothing to offer Jesus. He cannot put Jesus in his debt; he has no hold on Jesus. So what the Samaritan receives from Jesus is sheer grace – an unwarranted and undeserved gift given without anything being asked for in return – and he knows it. He is a model for us because he knows his need; he knows he can do nothing; and he knows that he has received grace. So he is grateful. To understand grace, and so become truly grateful, it does help to be in a situation of utter dependence. This makes it harder to have any illusions about what we have to offer God. Most of us are not not lepers and outcasts from society – and most of us are not conscious of being in severe need or difficulty – and so we may struggle fully to recognise our total dependence on God, our need of his grace; but we can recognise that this is what we need to learn.We need to learn to say than you, and then to turn to our neighbour in need and reach out with a helping hand. I think in many ways the progression of technology, although serving quite useful functions, also has served quite negative functions in regards to how we see our relationship to one another. We become more and more individualized, with our personal profiles, and our view that we are this individual self within a bag of skin becomes reinforced. Because of this, we think that we should all take care of ourselves and individually work for the things we need. When someone offers us something out of generosity, it can feel shaming, in a sense, that we needed something not gained from our own efforts. But when we see that we must rely on one another, communities become filled with a spirit of generosity and each member has their role to play, and no person is in lack (2 Corinthians 8).